The muscle progenitor cells originating from the dorsomedial lip (DML) of the dermomyotome are highly proliferative Pax3-positive cells. 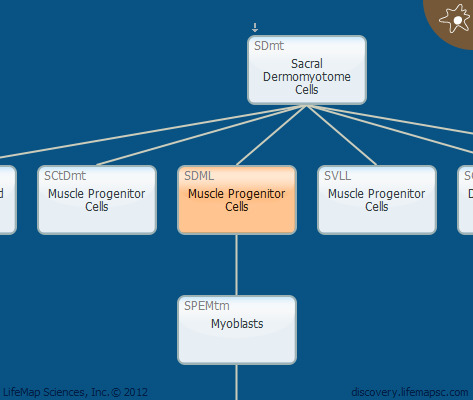 These cells migrate underneath the dermomyotome and accumulate under its central compartment. Together with the progenitor cells from the ventrolateral lip (VLL), they form the primary myotome layer which serves as a scaffold for the formation of the mature myotome.